Give your rabbits and guinea pigs a comfortable place to call home and protect them from the elements with this durable 2 storey wood hutch. 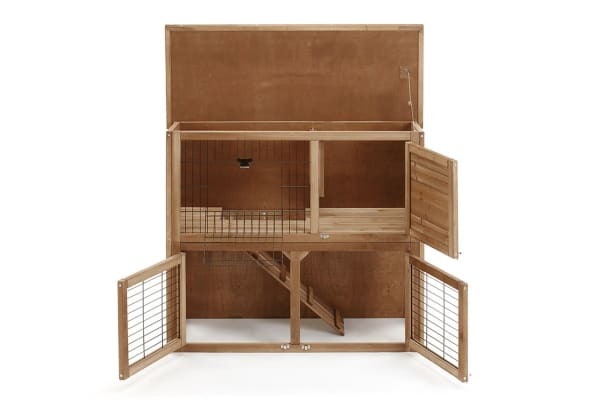 Built with two storeys, two spacious living rooms, a sleeping area and integrated ground enclosure with plenty of space to roam, give your rabbits a comfortable home with the Pawever Pets Wood Rabbit Hutch. 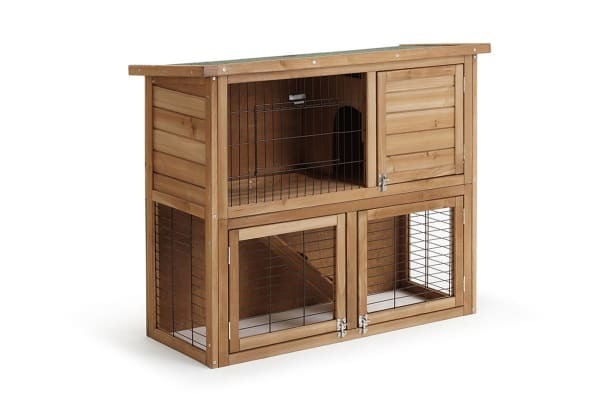 Connect the storeys with the foldable ramp or create two separate homes to house your bunnies! Get peace of mind knowing that your pets are dry from the rain or not overheating from harsh sun thanks to the green asphalt roof cover, deflecting solar heat radiation and rain. 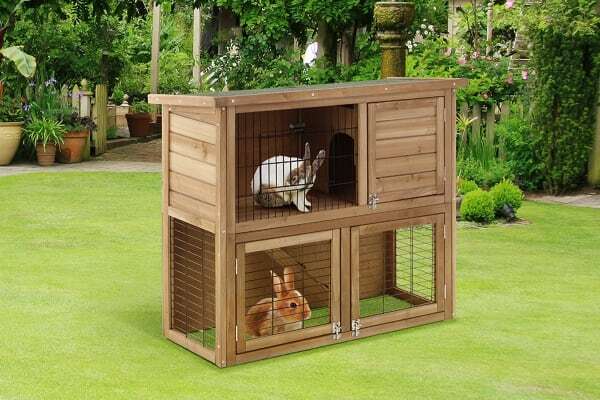 No need to worry about damp floors, mould build-up or termite infestations from the garden with a waterproof anti-termite casing, ensuring your bunnies have a place to call home for years to come.